Start A Credit Repair Service Today! Start a credit repair service, today! Have you been looking for a full or part-time credit repair business that requires little or no prior experience to get started? Credit dispute software is an option that is attracting interest around the country. Start A Credit Repair Service Without Any Prior Experience, Today! Build the skills that promote success while learning the techniques to help clients improve their credit status. Includes a credit repair website. The above five features are important parts of a successful business plan. Decide how much time and effort you’re willing to give to achieve the earnings you want. Sign up for a free credit repair webinar! The only cost is the time you spend at the online seminar. Choose carefully. Look for programs that offer additional training opportunities in formats like video and credit repair software at little or no cost while you build your business. Suspicious or questionable activity is addressed immediately. Choose a program that makes daily tracking simple. It enables you to keep clients up to date on debt status and solutions. 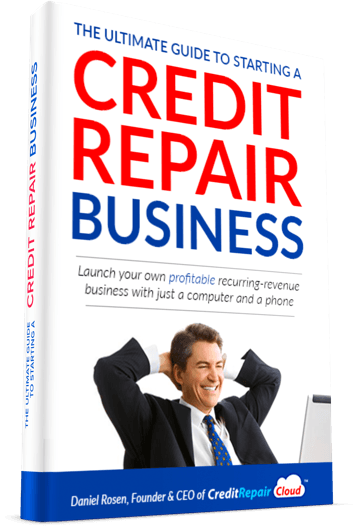 The credit dispute software should be easy for you to use and follow, giving you an opportunity to build a lucrative and successful business. Work at any time from any location with a computer, internet access and a cell phone. It’s convenient for you, as well as businesses and individuals who need your help. Inaccuracies on credit reports are common. They occur when debts are sold form one debt collection company to another company and the amounts due are increased by interest and collection fees. Disreputable companies have been known to demand payment for debts they have no authority to collect. Cell phones make it easier than ever to harass consumers. Look at the robocall problem we have today. These calls may encourage them to pay a reduced amount, even though they don’t recall creating the debt. Sometimes it is easier to pay a discounted amount to make a problem go away. However, paying off a bogus charge to an unauthorized debt collector or agency achieves nothing. Investing in a legitimate credit repair program with easy to learn training gives you the chance to build a reputation for transparency and honesty in credit repair on behalf of your clients. Avoid being one of the businesses that start with a bang and fizzle in less than a year. As a respected, unbiased third party, your credit repair business can grow and meet your financial goals. Learn how to start a credit repair service, Today. For further details, View the credit repair business startup Webinar Below. Get Started Today!